Some time ago (late 2016) UK Base Rate was reduced to 0.25% and an additional scheme to the stable of QE was added next to Funding for Lending. Term Funding Scheme (TFS) was introduced by the Bank of England at a time of falling lending amounts, for banks and building societies to lend out to businesses, as a way of bypassing cuts to deposit rates. 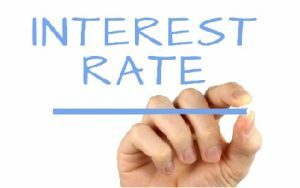 Fast forward to early 2018, both schemes come to an end preceding a resulting rise to some lenders’ rates, and the ever-more unsettled Base Rate setters decide to keep the familiar 0.5% rate. As the lead singer in a band is arguably the most prominent, house prices are arguably the most popular as a measurement of inflation. In March they had an upward arrow against them, followed in April with a downward arrow – annual house price inflation slowed to 2.2% in the 3 months to April, from 2.7% in the 3 months to March (Halifax Price Index). Banks (UK) have been increasingly diversifying their funding channels and using financial technology to raise funds and manage their risks via securities across a range of investors, often with tightened pricing, as investors pursue yield and low risk – especially when looking to longer maturity. Business owners look to business spending, and business figures, for their economic indicators – Property owners look to base rates.